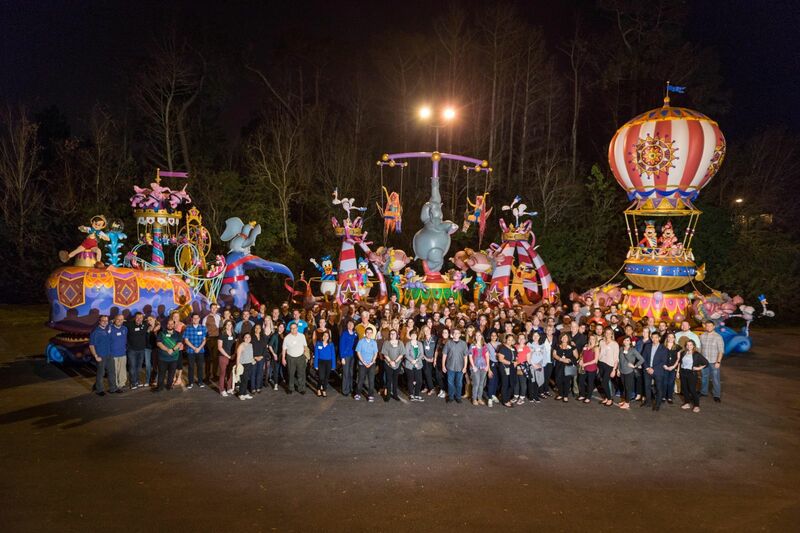 Members of the Themed Entertainment Association (TEA) were treated to a special behind-the-scenes event with Disney Parks Live Entertainment and the TEA Eastern North America Division, in Orlando on 13 February 2018. 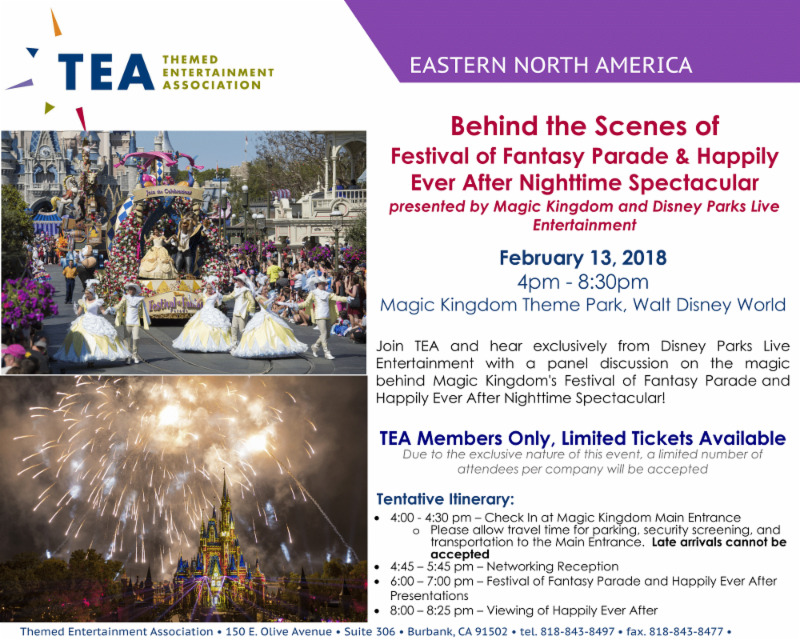 This event - which was open exclusively to TEA members - featured Magic Kingdom's new Festival of Fantasy Parade and Happily Ever After Nighttime Spectacular. The event was completely full at 147 attendees. 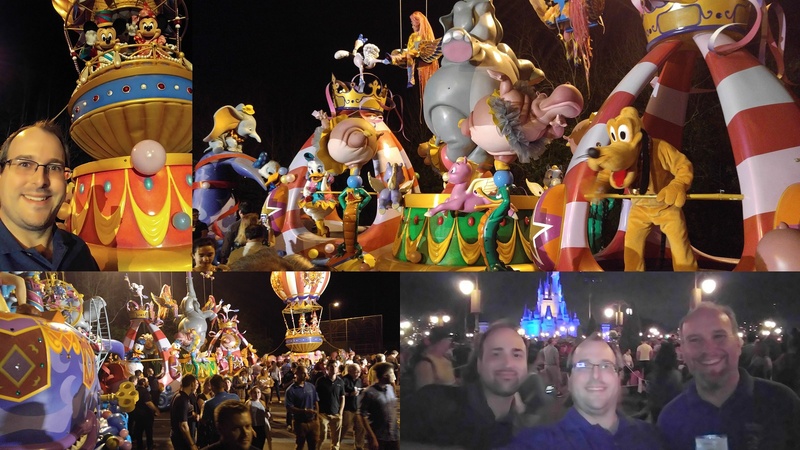 Members checked In at the Magic Kingdom, then mingled at a networking reception, followed by the Festival of Fantasy Parade and Happily Ever After presentations. The evening culminated with a viewing of Happily Ever After. Many thanks to everyone who helped make this event a reality. Interested in more TEA events? Visit the TEA Event Page. 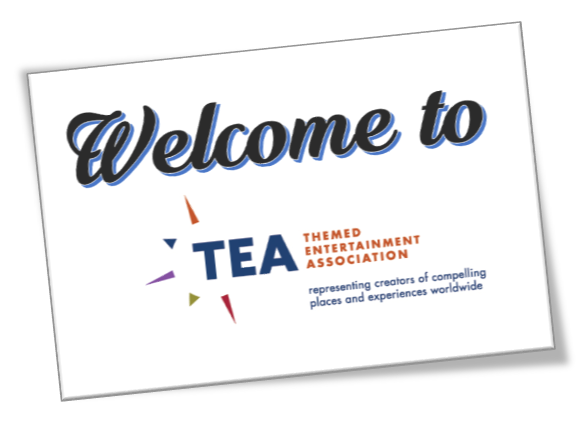 Want to know more about the TEA Eastern North America Division? Click here. 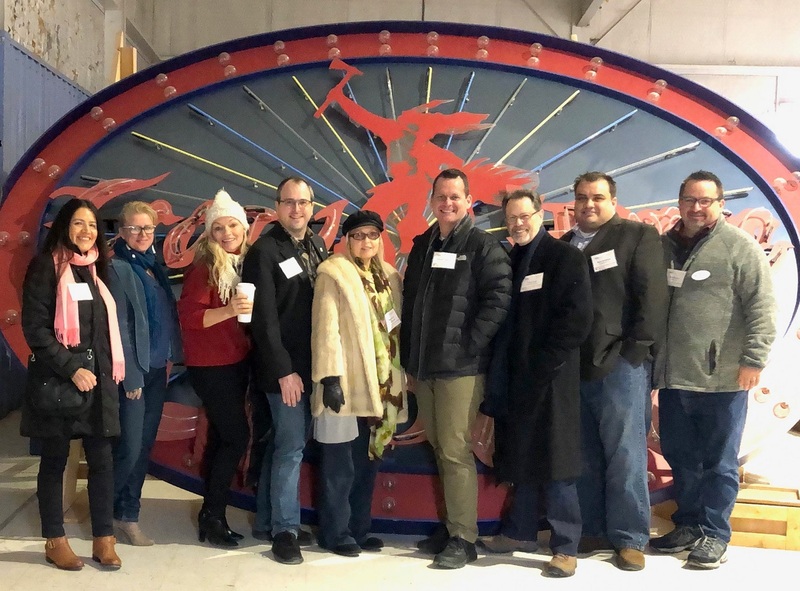 The TEA Eastern Division makes the most of having a concentration of members, companies and theme parks in the Orlando area, but also organizes events in many other locations, including New York, Philadelphia, Chicago and Kansas City. 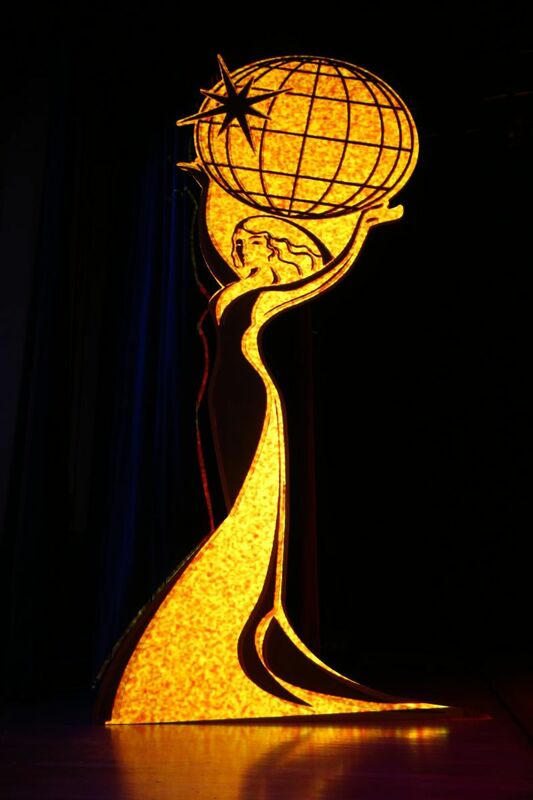 Eastern Division president is Melissa Ruminot of The Nassal Company. Thanks to Rich Hill of Sally Corp for helping to assemble this story.